The movement skills required to move through an obstacle course are precisely the movement techniques we teach. Practical, adaptable, complex movements are the core principles of MovNat, and they are the core requirements for success on an obstacle course. Strength and conditioning only get you so far, what you need to really succeed is movement ability to get the most out of your physical preparedness. We don’t just teach how to get over the wall, we teach you how to do so with efficiency. When you move efficiently, you preserve energy for other parts of the race. This is the key. 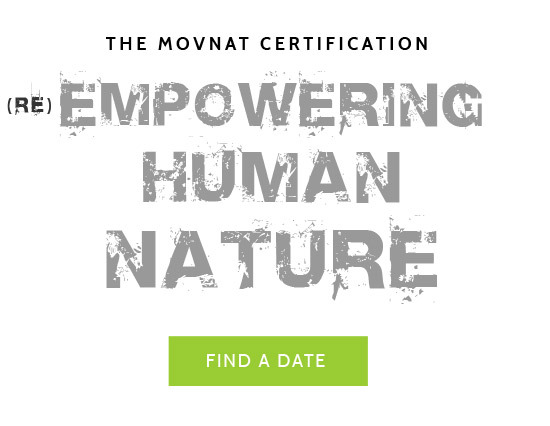 The unpredictable nature of these courses is where MovNat training takes center stage – by training moving with technique through changing environments, participants become adept at quickly and intuitively accessing and solving new obstacles. Its about complex and adaptable movement for highest levels of performance and success. Condition and physically prepare through techniques and movements closely resembling the movement patterns and physiological adaptations required for success on obstacle races. Practice efficient transitions between diverse movement patterns and physical efforts.